Both the VECTRA® 3D camera and Sculptor software were developed by Canfield Imaging Systems of Fairfield, NJ, the world’s leading provider of medical photography systems. 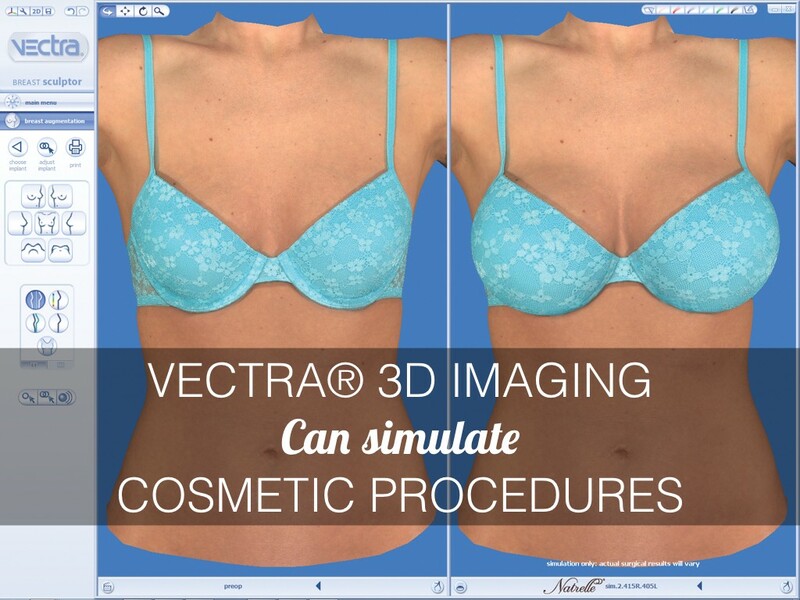 The process starts with a VECTRA® 3D session which produces a three-dimensional photograph of the patient. Then, using Sculptor software, the surgeon is able to simulate the expected results of a variety of cosmetic procedures. My patients absolutely love this. For the first time, they’re able to see a 3D picture of themselves with their new look. Because it’s in 3D, I can rotate their picture to any viewpoint and they can really examine the desired result. We can make changes here and there and agree on a final look in advance, and this truly helps them make a decision. CosmeticCulture SkinSpa & Laser Clinics have been serving Sydney since 2002, offering professional, personalised medical care in cosmetic surgery, cosmetic injectables and lasers. The Clinics are conveniently located in Pyrmont, Lane Cove and Penrith. Comment: DrTim is a certified Plastic Surgeon and is available for consultations by appointment at 13000DRTIM or email us at info@drtim.com.au.